Have you ever wondered how food supplies are organized in a metropolitan area the size of Mexico City (population 20 million) so that all its inhabitants have regular access to fresh produce? Like most major world cities, Mexico City has a specialized wholesale market for food, Central de Abasto. It is located in Iztapalapa, south-east of the city center. 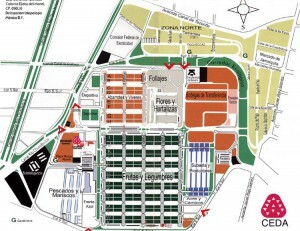 Map of Central de Abasto, Mexico City. Click to enlarge. 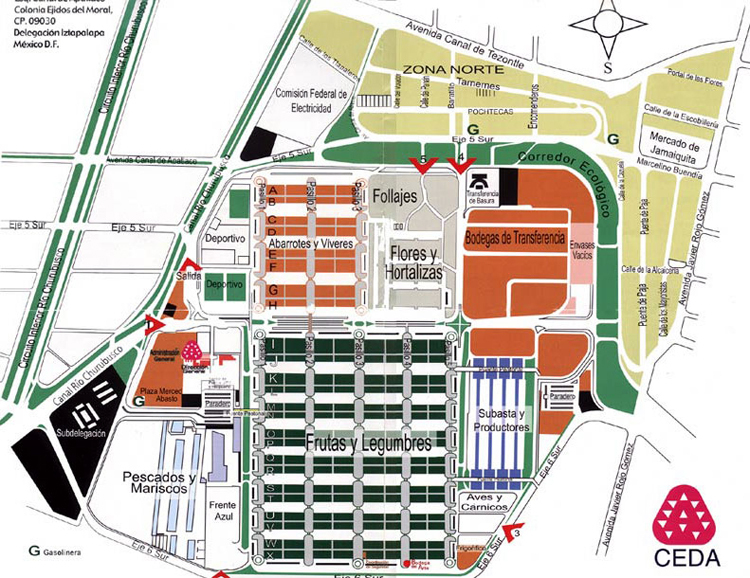 The map is the “official” map of the Central de Abasto in all its glory. While I often organized market surveys for school groups in Mexico, I have to admit that I never dared take on the challenge of surveying the Central de Abasto. This map, and Twilley’s fun account of the market reminds me why I never had the courage! Mexican markets, in all their guises, from the massive Central de Abasto down to a humble tianguis (street market) in a small village, are a fascinating aspect of Mexico’s geography, and well worth a book in their own right.